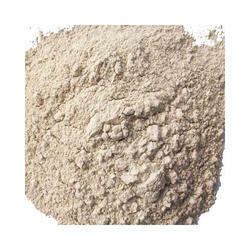 We are one of the foremost Manufacturers, Exporters and Suppliers of Attapulgite in the market. Our Attapulgite is widely demanded in the market for its optimum quality as it is processed by using the latest technology. 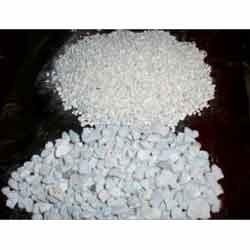 We provide properly packed Attapulgite to the clients. Our Attapulgite has high temperature endurance. We offer Attapulgite Powder which offers high absorption property and is used as an animal feed supplement. It is non-toxic in nature, thus causing no harm to the animals. This is a clay-like powder that absorbs the bacteria or germs that may cause the bacteria. We offer this effective animal feed supplement at market leading prices. attapulgite is a magnesium aluminium phyllosilicate with formula (Mg, Al)2Si4O10(OH)·4(H2O) that occurs in a type of clay soil common to the Southeastern United States. It is one of the types of fuller's earth. Attapulgite Powder is a hydrous magnesium silicate clay primarily uses as viscosifier in a wide range saline water for water base mud.